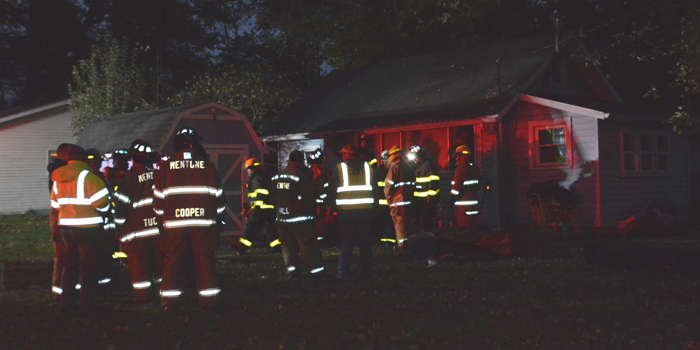 Burket and Mentone Fire Departments responded to a report of a structure fire near Beaver Dam Lake Friday, Oct. 19. CLAYPOOL — At approximately 6:40 p.m. Friday, Oct. 19, Seward Township Burket Volunteer and Mentone Fire Departments responded to a structure fire near Beaver Dam Lake at 7374 W. Upper Bensart Drive, Claypool. According to firefighters on the scene, no one was injured in the fire.